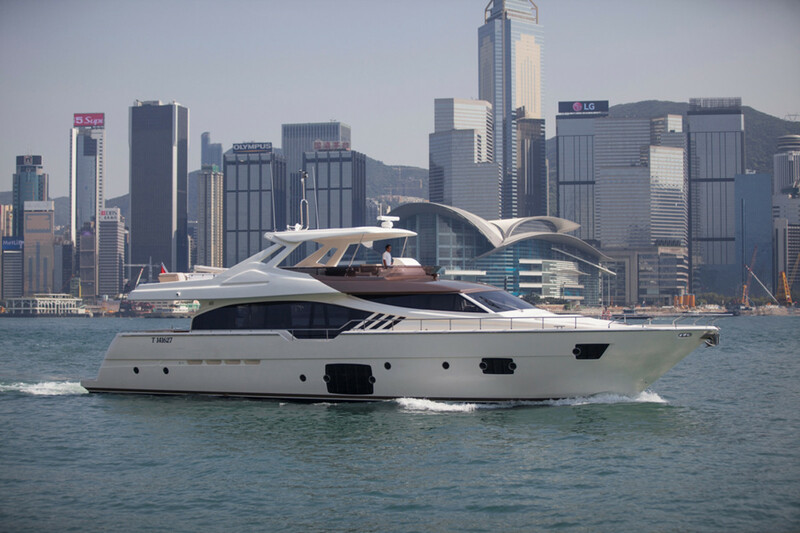 The Ferretti Group is taking part in two boat shows on China’s Hainan Island and in Hong Kong. The Ferretti Group is taking part in two boat shows on China’s Hainan Island and in Hong Kong, showcasing some of its newest yachts. The Ferretti Yachts 870 “Tai He Ban” will be on display later this week at the Hong Kong International Boat Show. The sixth edition of the China Rendez-vous wraps up today on Hainan, where the group is premiering a Custom Line 100 and a Ferretti Yachts 650, as well as a Ferretti Yachts Altura 840 “Tai He Ban”; a Ferretti Yachts 690; and a Ferretti Yachts 530, all in coordination with local dealership Speedo Marine. A Custom Line Navetta 33 Crescendo, an Altura 840 “Tai He Ban” and a Ferretti Yachts 530 will be on display in the first edition of So!Hainan, which is set for Thursday through Sunday on Hainan. From Friday through Sunday, Ferretti will attend the Hong Kong International Boat Show at Marina Cove, displaying a Ferretti Yachts 870 “Tai He Ban”; a Custom Line Navetta 28; a Pershing 82; and the iconic Aquariva Super. “These three boat shows are precious opportunities to present in this strategic area of Asia Pacific the group’s latest works of art created for the sea,” Ferretti Group chief commercial officer Stefano de Vivo said in a statement.